One week ago, Sony introduced the a7 III full-frame mirrorless camera which redefined what a “base model” should be. Here’s my first-look review. The a7 III shares the same body design as the a7R III, however with a minor tweak of removing the locking button for the topside mode dial. I’ve never liked those locking buttons on the Mark II a7s or the a7R III and a9, so this is great that there’s one less action to do when quickly changing settings on the camera. The deeper grip of the latest a7-series cameras fills out my hand and makes holding the camera feel steadier and more comfortable. The a7 III, at 1.4 pounds, is a quarter of an ounce lighter than the a7R III and 0.8 ounces lighter than the a9 — basically identical. Coming from the a7 II, the a7 III is 3.3 ounces heavier. Button placement on the top and back are all easy to find even with your face buried in the viewfinder. The quantity of these physical buttons and the ability to customize them all meant that I didn’t even feel it was necessary to begin customizing the quick-access “Fn” menu where more frequently used options can be stored. I would still like to see Sony drop the printed labeling of the button actions, for example the “ISO” and “DISP” labels on the back, as I’ve always disagreed with their stock actions for these buttons. So after the first minute of owning the camera, these labels are now incorrect thereafter. Based on outside appearances, the a7 III looks the part of being in the a7 series. Inside, however, it might make more sense to compare it as being the “base model” a9. As with the a9, the a7 III has a 24.2-megapixel sensor with 693 phase detection points spanning 93 percent of the frame and a BIONZ X image processor. The a7 III even has 425 contrast detect points, many more than the a9’s 25. They share the same new larger NP-FZ100 battery, dual SD card slots (one UHS-II), 4K 30p video shooting with full pixel readout (a7 III even has S-Log), in-body five-axis image stabilization, touchscreen LCD, and the same ISO sensitivity. What you are not getting here is the a9’s Exmor RS stacked sensor and all the incredible breakthroughs that come from it. The a9 has a far better buffer and faster processing, and has blackout-free live view continuous shooting up to 20 frames per second; the a7 III can do live view up to 8 frames per second with blackouts, 10 with blackouts and showing the last photo taken in the viewfinder instead of a live view. The a9 (and the a7R III) also have a higher resolution EVF and LCD screen by the numbers, but without seeing the cameras side by side I didn’t notice anything in terms of “lower quality” with the a7 III. 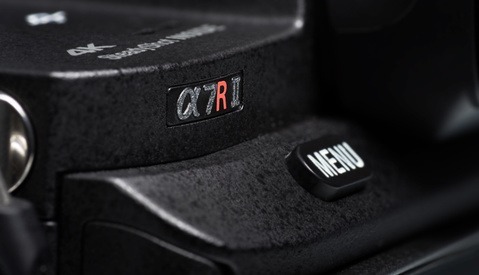 The a9 also has an awesome added physical dial on top for controlling the drive mode and focus mode of the camera without jumping into menus. Of course there are other smaller variances to examine if you are in the market for one of them, but these are the main differences. After the original a7 and a7 II, the huge bump in autofocus performance in the a7 III was not expected. I spent much of my time with the a7 III consistently being amazed at how it handled focusing in a variety of settings. While the a7R series has been the flagship for high resolution, and the a7S has been the go-to for video, I think the a7 now has its own flagship feature in its autofocusing. Starting at its worst, in the dim lighting of a restaurant at night with a moving subject 10 feet away (and without the AF assist lamp because I’m a respectful human being), Eye AF ceased to work and face detection didn’t always get the face of my subject in focus. I was using the $548 FE 85mm f/1.8 in this scenario. There were minor focus hunting issues popping up, but the fast autofocusing meant it would go in and out in quick bursts rather than the agonizing slow hunt to find a lock. What I learned from this is to just fire double the number of photos than I normally would, because the focus would be nailed on the eye in about half the frames. I should mention that keeper rate also involved using a slower shutter speed and the negative effects on acceptable sharpness that had as well. Now at its best, in about every other scenario I found myself in, the autofocus was solid. The only other downside I recall is having some minor issues with Eye AF not being as reliable as usual as my camera seemed to ever slightly front focus it at times. The green eye detection box in the viewfinder was accurately locked in at all times, so I think it could just be my test camera or pre-release firmware. Face recognition came in handy and performed perfectly while photographing models coming in and out from under a waterfall feature. The water falling around them and in front of their faces would probably confuse the traditional autofocusing, but with face detect I walked away with a majority in focus. Tracking subjects with continuous autofocus was a dream because of the 93 percent focus point frame coverage. 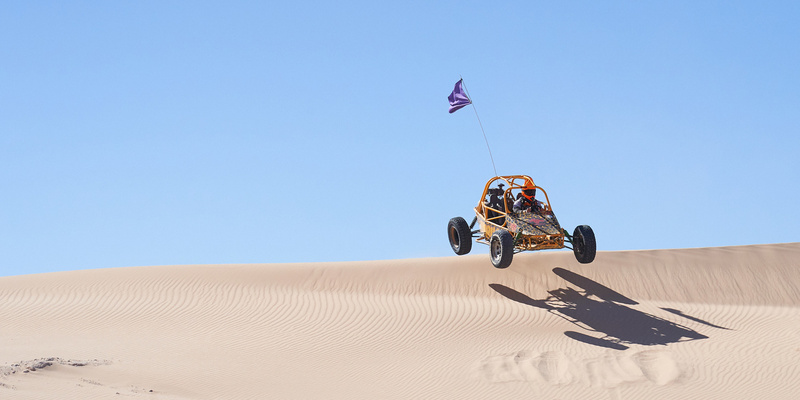 In the menu there are settings to fine-tune this, and I had set it to be fairly jumpy for photographing dune buggies. In combination with the 10 frames per second, a burst of photos gave me interesting results with this. I’d get most photos with the driver in focus, and then a few with the sand flying around in focus, which I sort of liked the variety of. Of course, this setting can also be locked down to not be jumping so easily if one had a specific image in mind to capture. The camera tracks extremely well across the frame for these larger subjects, and I’d love to see how it handles birds in flight. The focus point coverage was also a better experience for me to create the exact compositions I wanted. When using the a7R III to photograph mountain bikers coming down towards me on a hill, I had to still do a classic focus and recompose because the points weren’t spread out enough for what I wanted. With the a7 III, I never ran into a problem with setting up a composition and getting the focus point exactly where I needed it in the frame using the touchscreen. It’s really creative liberation when I have to worry less about a camera’s technical limitations and just focus on capturing the image in my mind. Similarly, for portrait photography the autofocus zone can just be set to wide, then with Eye AF there’s no focus and recompose necessary either; regardless of where the model is placed in my composition, Eye AF gets me the best focus without needing to think about those extra steps. The ISO performance of the a7 III holds its own. It’s not up to par with the a9, but I’d say it’s about one stop away. In a “last chance” shooting scenario, the a9 tops out around ISO 25,600 for what I think is acceptable quality whereas I think 12,800 is the limit on the a7 III. Embedded below is a comparison where all images are zoomed to 200 percent. There’s also a download available to see the full-resolution in-camera JPEGs to determine for yourself the image quality. 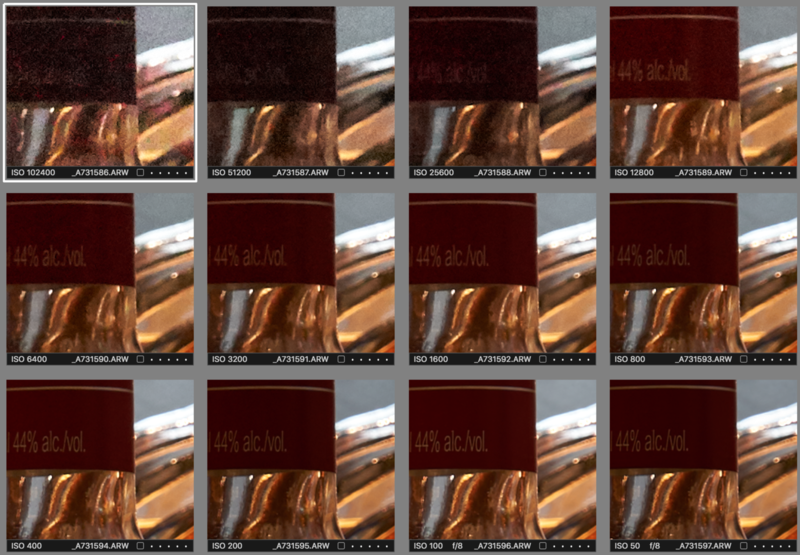 Sony a7 III ISO comparison at 200%. Base ISO of the a7 III is 100. Unrelated side note if you look at the ISO test: while shooting these images the camera told me on the LCD that it detected flicker from the lights. 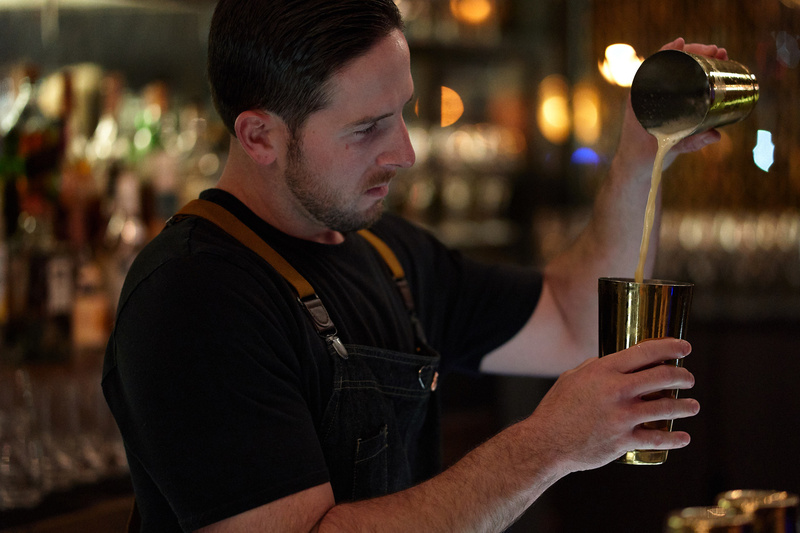 The a7 III has a flicker compensation mode to help eliminate the lighting differences in images that can be turned on or off in the menu. I really thought I had turned this feature on, but the flicker showed up very obviously in this image set and I’m left questioning my sanity. Sony’s sensors are powerhouses of dynamic range. 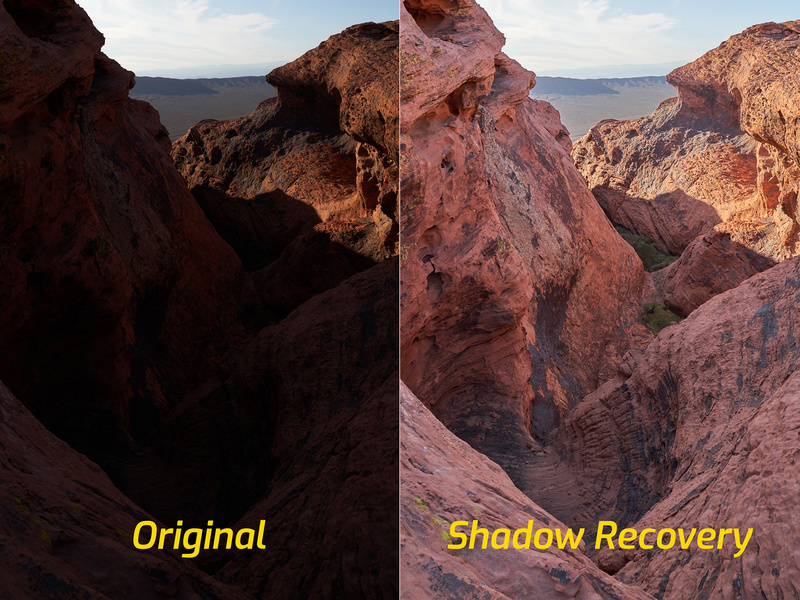 It used to be that while you could recover highlights and shadows, doing so came at a cost of heavy noise or other detrimental effects. These days I get away with pushing and pulling the raw files at almost no cost. It’s already hard enough to completely blow the exposure with Sony’s latest sensors. Some purists might scoff at the idea of not caring about exposure in camera, but it’s really not at the top of the list for me. For years I’ve been more concerned about recording all the information in the scene at a mid-exposure rather than having it look pretty straight out of camera. I consider what I capture in camera as my “base” files; something to build my true artistic vision from. If you’re like me in that way, the sensor in the a7 III is no exception to the great quality Sony has been putting out lately and you’re going to enjoy playing with these images. What's in front of your lens during capture is fair game during post-processing. The a7 III is likely going to be cannibalizing sales of the a7R III and possibly even some of the a9, not to mention the capable video here may even impact the future a7S III. 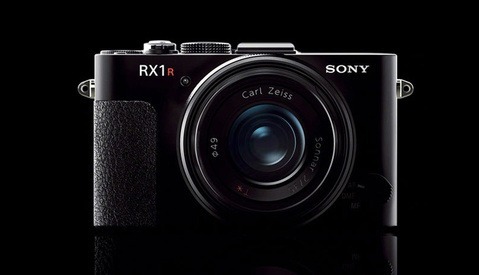 This bold move by Sony is more than just selling any one camera though. It moves the entire full-frame Alpha product line forward as a whole, and shows that Sony understands that any sales that get more people using their cameras are good sales worth making. Whether a person spends $2,000 for an a7 III or $3,200 for the a7R III, Sony wins. They have their eyes far down the road and are steadily setting themselves up for a full-on takeover of the industry. The Sony a7 III is priced at $1,998 and can be preordered now. The camera begins shipping on April 10. Couldn't agree more. First time I've ever given serious thought to jumping brand, to the point where my question is not "current brand or Sony" but rather "A73 or wait-and-see A7S3?" 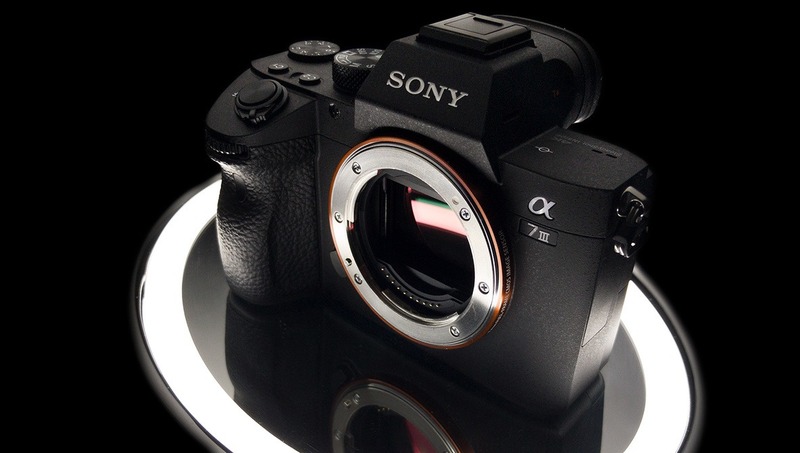 The new range of Sony cameras from the A9 is one wow after another. 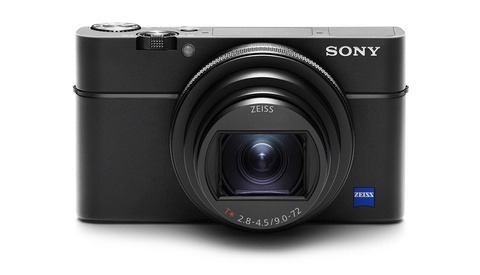 If Sony releases the A7S3, it has to top all of the previous releases, or it will flop. I guess the A7SIII is really going to be the biggest surprise, it doesn't need to be wildly great, but Sony can seal the game if it is. Then wait for Canon and nikon's take at mirorless with confidence. Agree, I'd like to see what this camera is capable of using adapted lenses - I suspect this is the path of adoption many people will take. New sony body + decent results with adapted lenses is likely what I would be considering myself. The Sigma ART series going native will make that much less of an issue in the near future. max yuryev made a review on yt that looked at that. it seems that the metabones m5 are almost as fast as on canon bodies. even eye autofocus seems like it is almost spot on in continuous mode with a moving subject. I could see little difference from native sony lenses except in some extreme situations. for 90% of people I think there won't be any issues. Check the review out yourself if you are curious. there are quite a few now on yt. I agree, their lenses are certainly too expensive. I've tried out the Sony bodies and they're way too small to be comfortable when using large lenses. They need to make the grip a bit bigger and then they could make the battery bigger, until they do these are still part time and amateur bodies. I just noticed that Sony's a7 series is starting to get bigger... more DSLR like. Because ergonomics matter! I have an A7ii and have been saving up for an A7rii and now this throws a wrench in the works as many others have pointed out. So the question is how good is the 42mp sensor really - for example, would a 50% crop on a 55mm on the a7rii have roughly the same quality as a 105mm on a7iii ? The cost + weight savings of not needing a long range zoom would make the a7ii worth it. Are these posts sponsored by Sony in any way? I understand the camera is amazing and I'm currently saving for one but any of your articles about this camera feel so overly positive. It could just be enthusiasm, and if it is all the power to you. For gear review I personally trust more DPReview. The tendency is the same, Sony camera are leaders, Canon is technologically in lag and so on. But all is much more temperate. Here the headline literally spits out over a Canon product just after having read the specs sheets, while Sony is completely praised. I also don't feel them really impartial. How about night landscapes and astrophotography: (a) has Sony ameliorated the STAR EATER firmware problem [excessive noise reduction at longer exposures that thinks anything less than 2x2 pixels is noise]; (b) is the sensor ISO-LESS similar to some previous models, (c) what happens to dynamic range as ISO goes up ?? Why people looks so sick on Sony? The DR on these Sony bodies is very impressive.